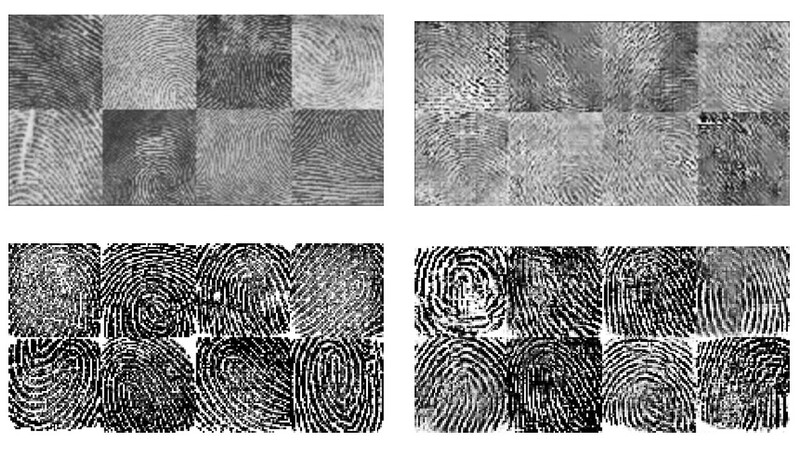 Researchers at NYU and U Michigan have published a paper explaining how they used a pair of machine-learning systems to develop a "universal fingerprint" that can fool the lowest-security fingerprint sensors 76% of the time (it is less effective against higher-security sensors). The researchers used "generative adversarial networks" (GAN) to develop their attack: this technique uses a pair of machine learning systems, a "generator" which tries to fool a "discriminator," to produce a kind of dialectical back-and-forth in that creates fakes that are harder and harder to detect. The output was a fake fingerprint designed to attack the capacitive sensors in smartphones and other devices; these sensors work from partial prints that can be rotated out of their original orientation and still unlock the device, and are thus the easiest to fool. Smartphones generally operate at the second tier of security, in which they are expected to generate false positives 0.1% of the time; and at this level, the researchers were able to spoof the sensors 22% of the time.